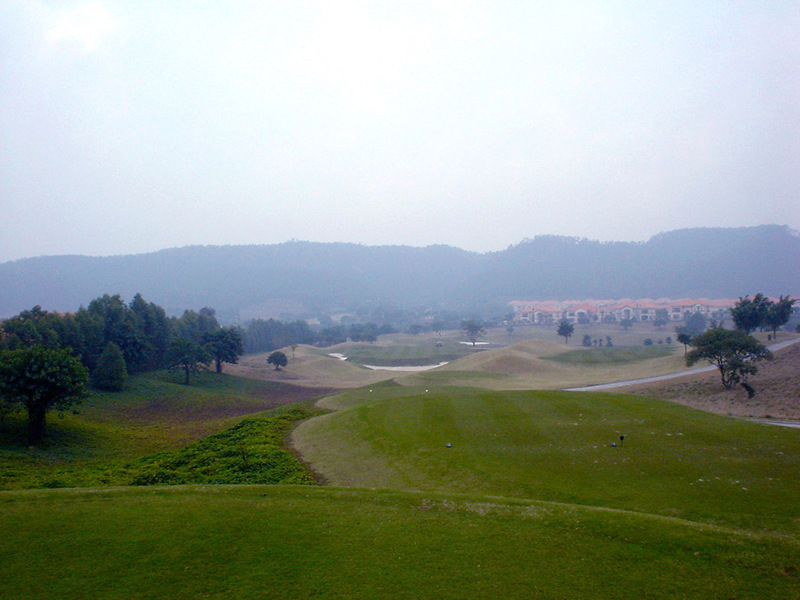 The club combines 36-hole champion golf courses, this Master Course and Open Course, which are set in a beautiful valley. 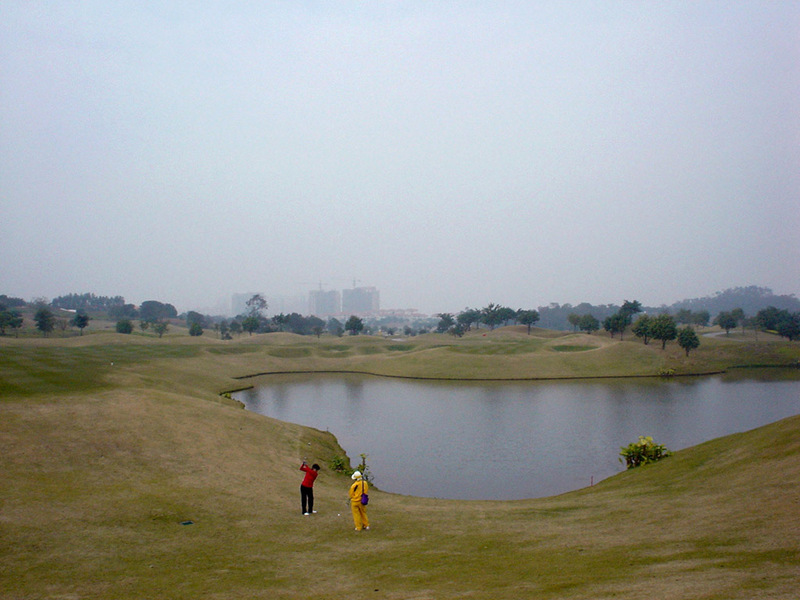 The course is rolling and the hollows are invariably filled with ponds and lakes. 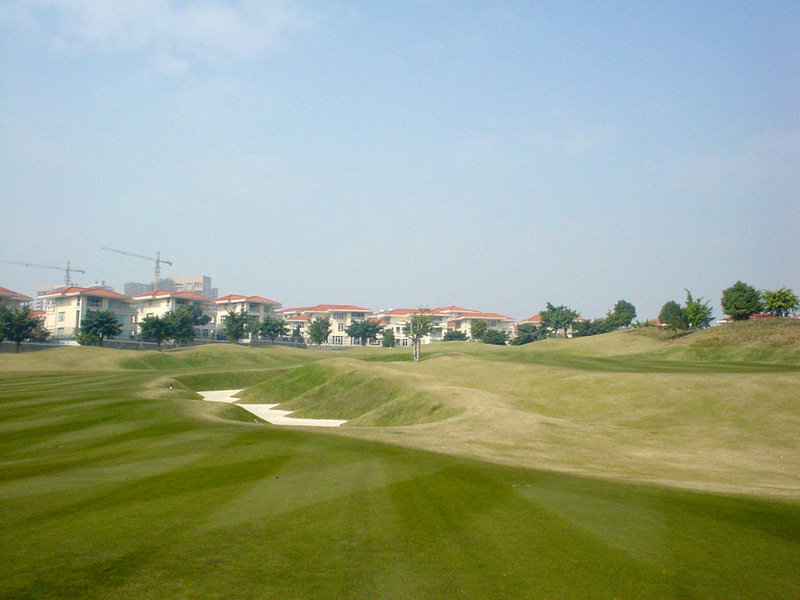 It features a couple of split fairways, and massive and deep bunkers, most of which are 2 to 3 meters (6 to 10 ft) deep, are scattered around the course. You can enjoy figuring out the your own best attacking route to attack the flag while avoiding the deep bunkers. 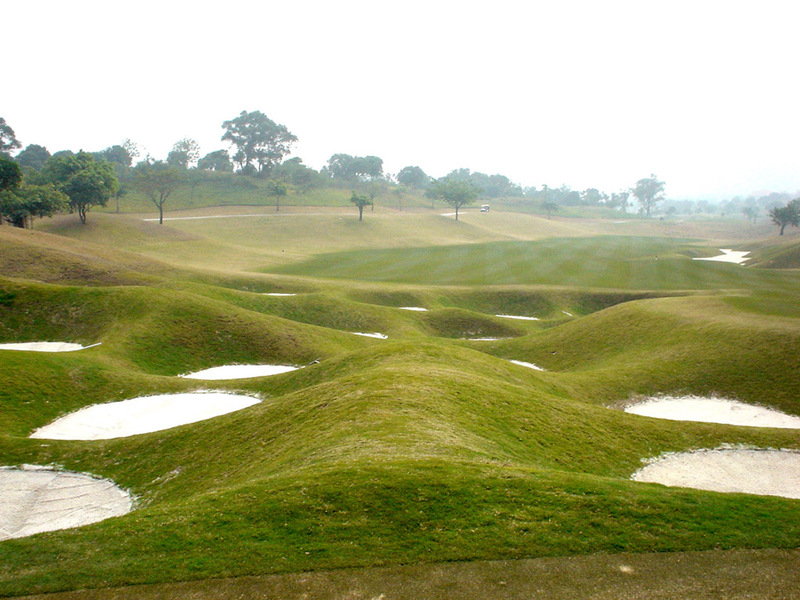 However, it could be a bit difficult for a beginner who is not a good bunker player. 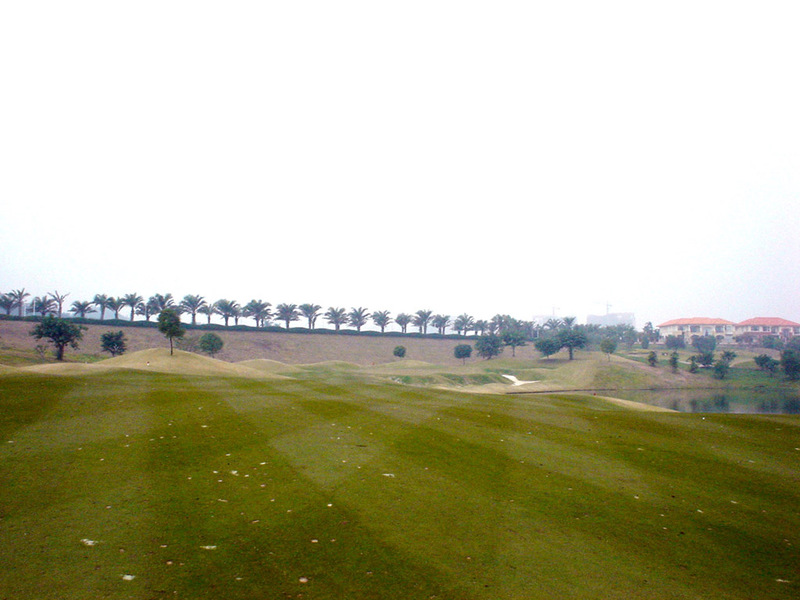 The front 9, C Course, has an excellent layout that gives you good challenge on every hole. 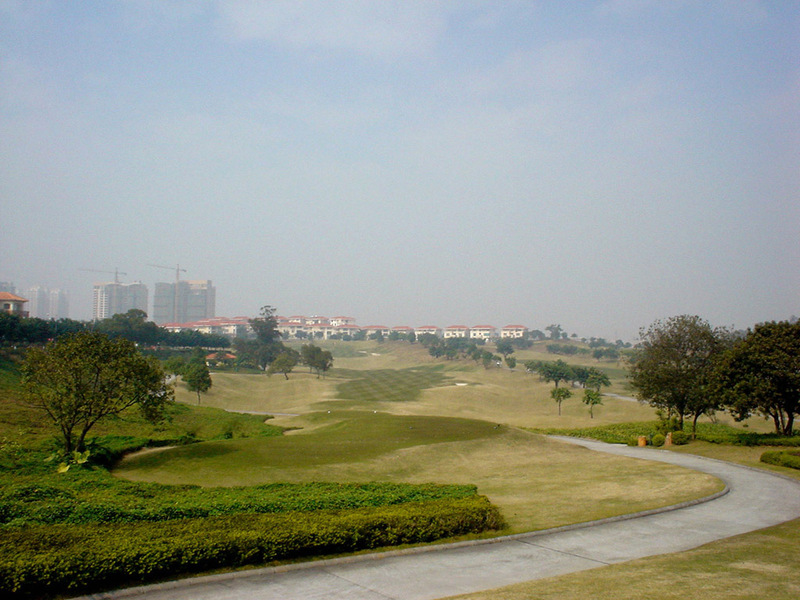 You can enjoy putting, too, because the greens are fast compared to average golf courses in China. A dogleg to the right. It can be possible to hit the green in 2. For the tee-shot the fairway slopes gently downhill and when you land on the fairway close to the lake on the right, you can take a short cut saving about 50 yards, leaving a chance for an Eagle. 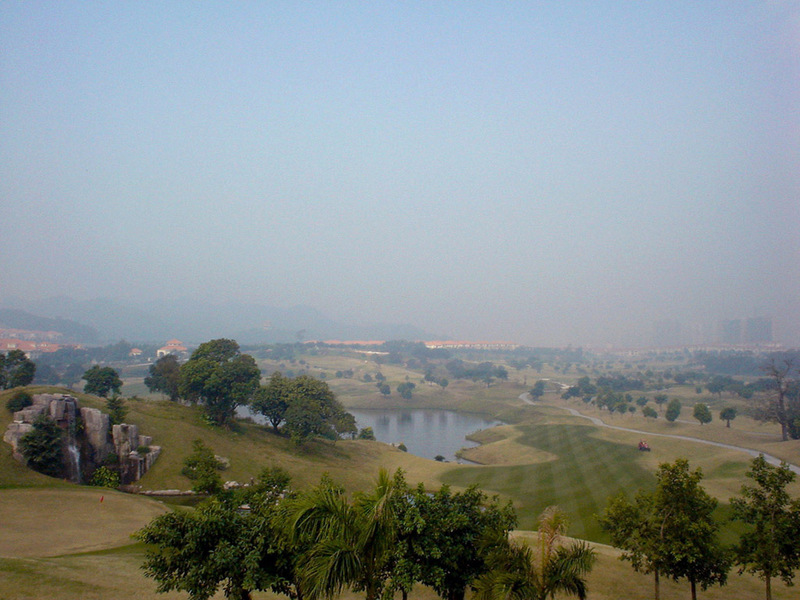 However, the second shot is over a lake, and water hazards and the well-placed bunkers around the green await your miss-hit shot. A neat par 3 over a pond. The rocks located between the pond and the green are impressive. 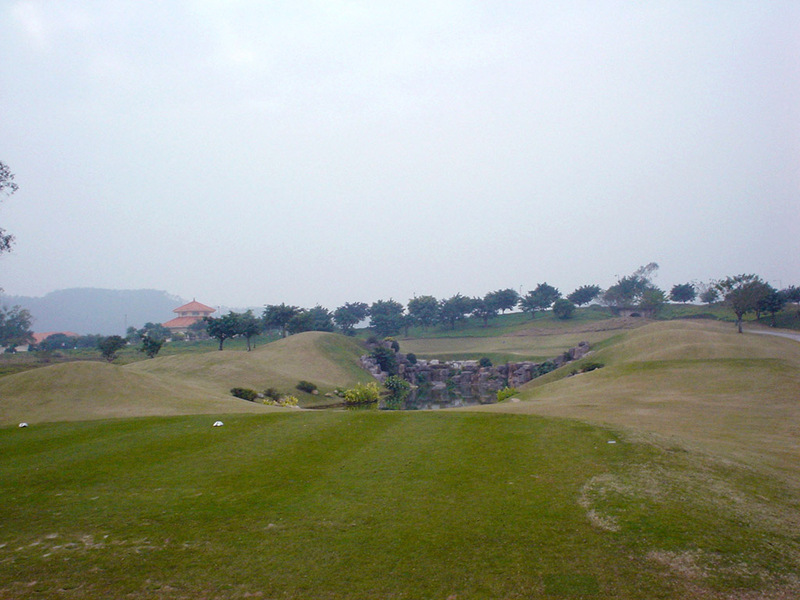 A par 4 with split fairways. 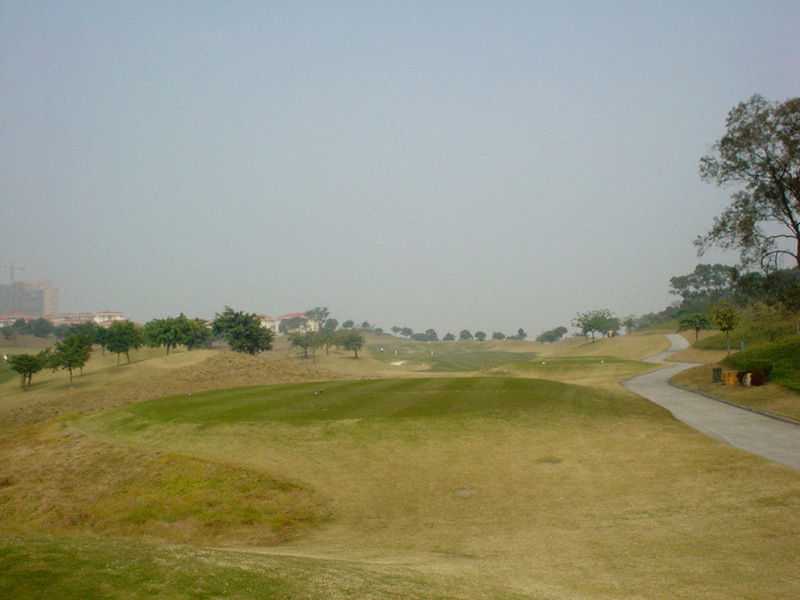 The left fairway is narrower and the bunkers on both sides come into play but it is closer to the green. The right fairway is wider but further from the green. 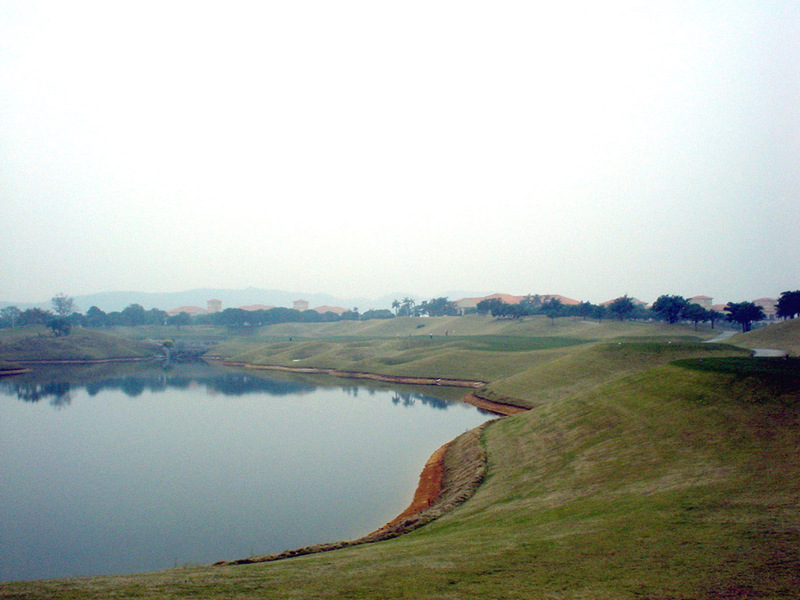 A par 4 with water on the right of the hole. You had better avoid a deep bunker on the right side of the green. 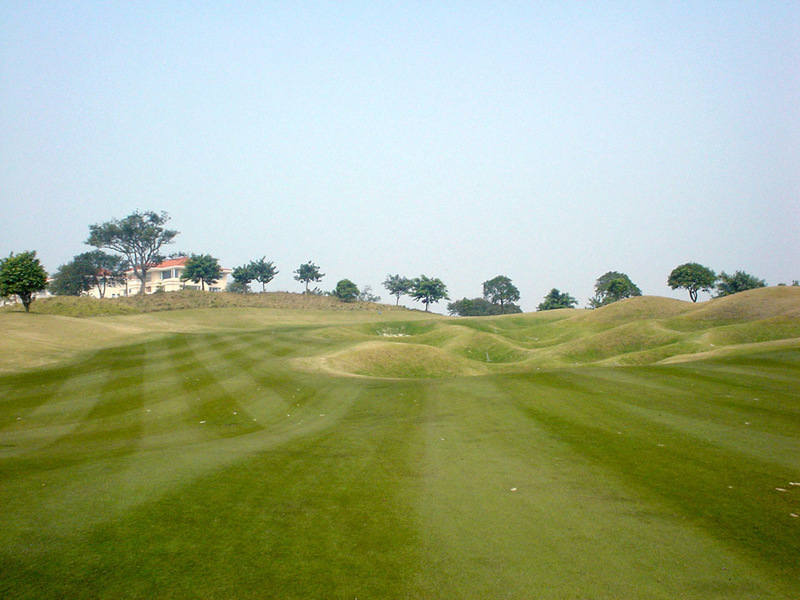 A par 5 that offers multiple routes to attack the flag. If you hit straight, it will be a straight hole and you can shorten the distance quite a lot and aim to hit the green in 2. If you decide to lay up, the hole will become “S” shaped. No matter which route you choose, deep bunkers could catch your bad shots, which are designed to make it difficult to hit the green. 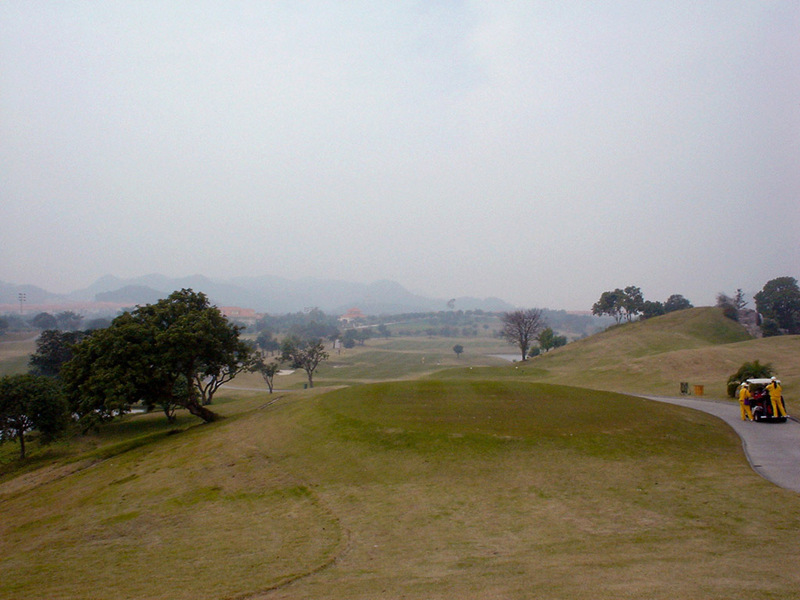 An uphill par 4. Various bunkers in front of the green are attractive. A long, beautiful Par 3. 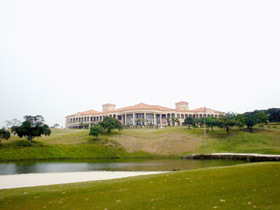 It plays downhill to the green with water and a bunker in play. A slight dogleg to the left. 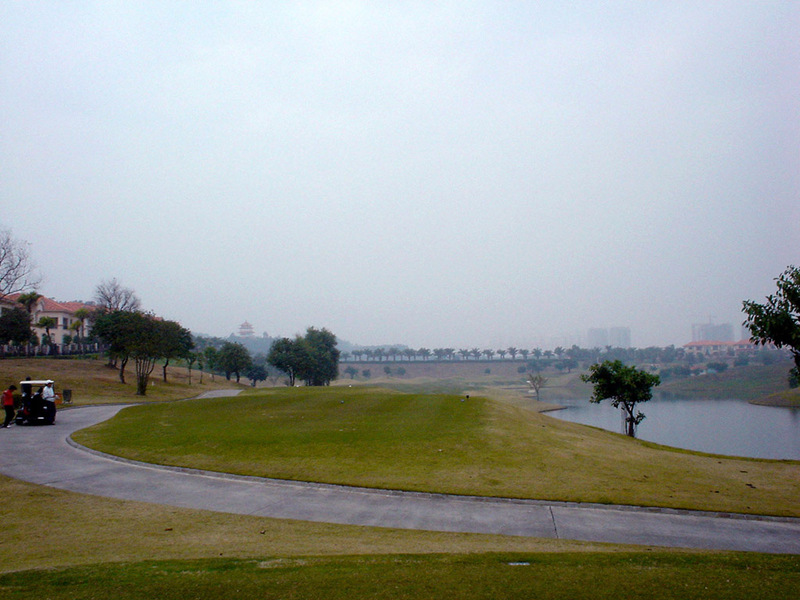 The left of the hole faces a lake and the second shot must be hit over the lake. It takes 2 hours from Hong Kong by a club bus, and 40 minutes from Shenzhen and 1 hour from Guanzhou by car. A veteran golf course designer, Jim Engh has done several excellent courses in USA including the Sanctuary GC in Colorado. 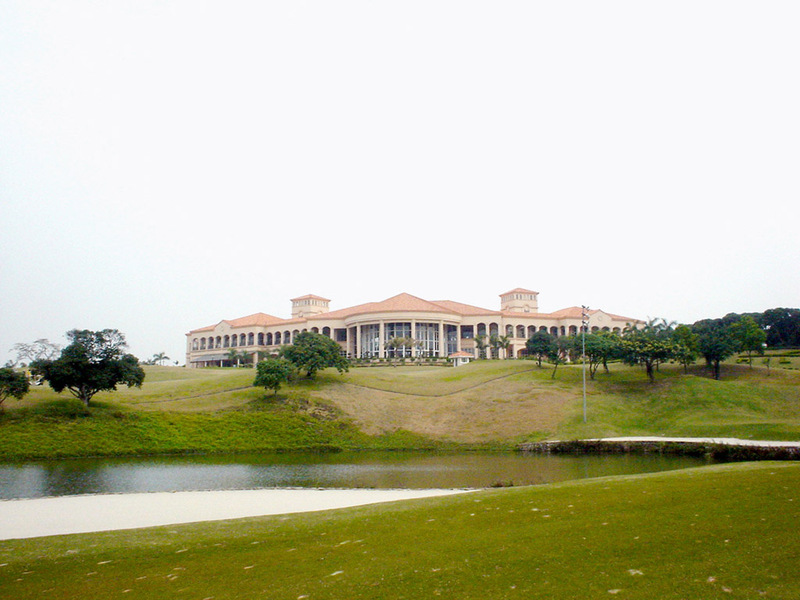 He is not that famous in Asia because he has designed almost all his courses in the USA. 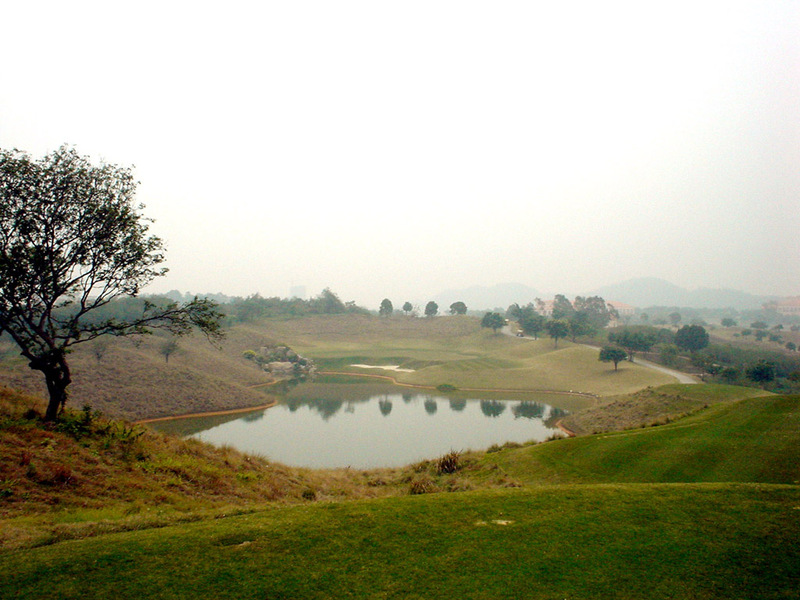 The exception is Dragon Hill GC in Thailand which has good reputation. 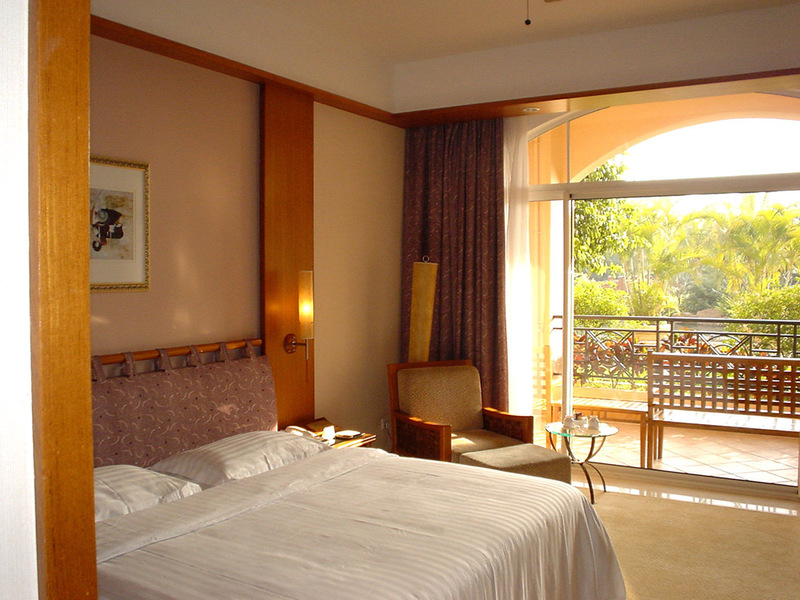 The hotel is in the golf club and its rooms are quite comfortable. The hotel is equipped with a gymnasium, a swimming pool, a sauna, tennis & squash courts and etc. and is a good place for the leisure.